Boris is back - and conveniently for us, compiling this list in date order means the Royal Opera House Prom comes out on top. With a cast led by bass-baritone Bryn Terfel and conducted by Antonio Pappano, this concert performance of Mussorgsky’s operatic masterpiece tells the tragic tale of a Russian Tsar plagued by guilt. The semi-staged performance is preceded by a workshop from the BBC Singers, where aspiring performers can join in with some of the opera’s choruses. Fresh from conducting Verdi’s epic Il trovatore on the Covent Garden stage, Gianandrea Noseda is at the helm of – if possible – an even larger masterpiece. Beethoven’s Missa Solemnis was composed over four years towards the end of the composer’s life and is considered to be is one of his supreme achievements. With a stellar cast of singers including soprano Camilla Nylund, mezzo-soprano Birgit Remmert, tenor Stuart Skelton, bass Hanno Müller-Brachmann, the Hallé Choir, Manchester Chamber Choir and BBC Philharmonic, the effect is sure to be breathtaking. A full day of Wagner may feel relatively short for those attuned to his lengthy operas – but for newcomers to this composer’s work, 11 July should serve as an introduction. Prom 10 at 11am showcases the 'Ride of the Valkyries' from Die Walküre in a family-friendly performance, alongside other classical staples from the BBC’s Ten Pieces series – music designed to open up the world of classical music to children and young people. The evening’s Prom 11 includes the final scene from Die Walküre, alongside Tippett’s contemplative oratorio, A Child of Our Time. There’s something of a Rossini focus at this year’s BBC Proms, and who better to celebrate the 200th anniversary of The Barber of Seville than our friends at Glyndebourne? Danielle de Niese leads the cast as Rosina, a young girl eager to escape the elderly Bartolo's affection, with comic consequences. There’s also a pre-concert talk for those wanting to learn more about the role and politics of hair-styling in 18th- and 19th-century Europe (!) with Alun Withey and historian Kathryn Hughes. Fans of Stravinsky’s ballet scores won’t be disappointed with this Proms Season: over the weekend of 5, 6 and 7 August, audiences will be treated to Petrushka (1947 version), The Firebird, and The Rite of Spring, complete with pre-performance talks. Those looking to collect all the performances of Stravinsky’s works over the 58 day-long festival should also save the date for the Pulcinella Suite on 20 July. A suitably Shakespearean recommendation in the 400th anniversary of his death. This performance takes regular Prommers away from the familiar surroundings of the Royal Albert Hall to an altogether smaller performance space: the Sam Wanamaker Playhouse at Shakespeare's Globe. Expect English Baroque music in spades, with music by Purcell, Blow, Locke and Draghi, as well as incidental music for Shakespeare’s The Tempest. Tenor Gregory Kunde stars alongside mezzo-soprano Alice Coote and the Hallé in Mahler’s synthesis of song and symphony, Das Lied von der Erde, conducted by Mark Elder. Continuing the Season’s focus on cello music, (kicking off on the First Night with a digital light projection from Sol Gabetta), Leonard Elschenbroich will perform a London premiere: Colin Matthews’s Berceuse for Dresden, which takes inspiration from the eight bells of the Dresden church at which it was premiered. A dream team of singers assemble for a concert performance of Janáček’s tragic satire, The Makropulos Affair, performed under the baton of Czech conductor Jiří Běhlohlávek. Finnish soprano Karita Mattila — acclaimed for her portrayal of the opera’s heroine at New York’s Metropolitan Opera — leads the cast. A rare treat to hear music from Beethoven’s only opera, Fidelio. Despite his prolific musical output, the composer appeared to struggle with the overture, eventually writing four versions. This version (Leonore No. 2) is the first attempt and is thought to have been composed for the 1805 premiere – but nowadays the final version, Leonore No. 1, much lighter in style and with fresh musical material, is often heard in performance. This Prom also features András Schiff playing the Piano Concerto No. 5 in E flat major, 'Emperor', and the Symphony No. 7, performed by the Leipzig Gewandhaus Orchestra and conducted by Herbert Blomstedt. The conductor affectionately dubbed ‘The Dude’ is back, conducting the Simón Bolívar Symphony Orchestra in their first Proms appearance since 2011. In this Olympic year, the Proms is celebrating South American music and musicians with a premiere of Venezuelan composer Paul Desenne’s Hipnosis mariposa, alongside Villa-Lobos’s effervescent orchestral tribute to J. S. Bach, Bachianas Brasileiras No 2. For ballet fans, the performance ends with two dizzying works by Ravel: La Valse, originally conceived as a ballet but now frequently heard as a concert work, and the Suite No. 2 from Daphnis and Chloe. There’s much more to the Last Night than tub-thumping Elgar and flag-waving pomp (although if that’s your cup of tea, you won’t be disappointed). Peruvian tenor Juan Diego Flórez is the star soloist for a diverse evening of music, including 'Una furtiva lagrima’ from Donizetti’s L'elisir d'amore, 'Ah ! mes amis' from La fille du regiment, as well as a generous helping of lush English song. Jette Parker Young Artist Lauren Fagan is also set to perform in a jewel in the evening’s programme, Vaughan Williams’ Serenade to Music, scored for 16 soloists, alongside the BBC Singers and BBC Symphony Orchestra, conducted by Sakari Oramo. Don your black tie and get queuing! What are you most looking forward to seeing at this year’s BBC Proms? 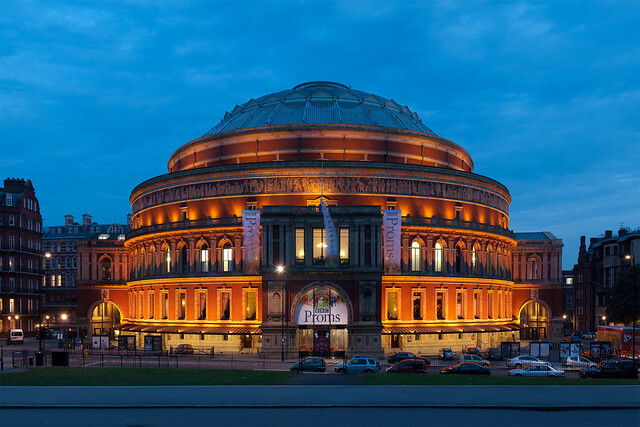 Tickets for the BBC Proms 2016 can be purchased from the Royal Albert Hall website. All Proms will be broadcast on BBC Radio 3, with a selection available to watch on BBC Four. I know you cannot mention everything, but you missed out both Semiramide and the Verdi Requiem, which are the only two proms I am going to this year.